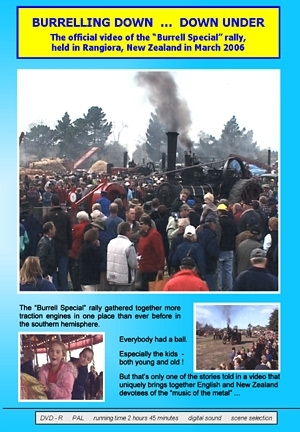 The “Burrell Special” Rally gathered together more traction engines in one place than ever before in the southern hemisphere. Three people - two poms and a kiwi - had an extraordinary influence on the event. They tell their stories with great good humour - and extraordinary stories they are too. For as a result, New Zealanders were able to see and experience something that had never happened in their country before. Everybody had a ball. Especially the kids - both young and old !